Worried About Your Brakes? Don't Be Disappointed, We're Here to Help! Our ASE Certified technicians are extremely concerned about the quality and efficiency of your vehicle's brakes. Why may you ask? The difference of just an inch or two is the difference between stopping in time or getting in a crash. Quality brake repair can save your life or at the very least protect your vehicle's exterior. Thankfully, your car's brakes will tell you when you need a brake service if you just knew what to look for. Now you can! Is your brake pedal not as high as normal or constantly seem in a 'down' position? 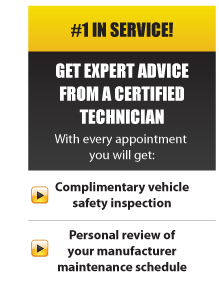 Has it been more than one full year since your last vehicle brake inspection? If you answered Yes to any of these brake questions, then it’s time to visit a brake shop for a brake service. Rum River Brake specialists offer the latest diagnostic equipment, expert skills and knowledge for your vehicle. Why Choose Rum River Automotive For Your Next Brake Repair? We're Proudly Serving All the Vehicle Owners In Princeton, MN | Milaca, MN | Zimmerman, MN & Other Surrounding Areas.